Matthew L. Reznicek earned his BA from Creighton University in 2008 where he studied English and Irish Literature, before enrolling at Queen's University Belfast for both his MA and his PhD. His first book, The European Metropolis: Paris and Nineteenth-Century Irish Women Novelists, is forthcoming with Clemson University Press/Liverpool University Press. He has published in Nineteenth-Century Literature, Women's Studies: An Interdisciplinary Journal and several edited collections. His research area is broadly 19th-century British and Irish literature, focusing specifically on women's literature, the representation of the city, economics in literature and opera in the novel. As part of this ongoing series on Teaching Romanticism we will consider the ways in which we lecture on and discuss individual authors, whether during author-specific modules or broader period surveys. I thought it would be particularly useful to hear about which texts educators use and in what context, whether they place certain poems or prose works against those of other writers, or use contemporary or modern theoretical texts, or something else entirely. For this strand of blog posts I invite academics across the world to share their advice and tips on any aspect that interests them about teaching Romanticism. Many thanks to all of those who answered my call through NASSR-L, The BARS Review, and elsewhere (lightly edited samples are reproduced below with permission of the authors). Please do feel free to contact me with proposals for future subjects. We will be considering a range of writers, canonical and non-canonical alike, in the coming months. This issue was edited by Matthew L. Reznicek. In my current position at the University of Limerick, I teach a first-year survey module on ‘Gothic Literature in Ireland’. It’s intended to provide students with a thorough understanding of the gothic’s emergence in late-eighteenth and early-nineteenth century Ireland within the broader contexts of Irish and British Romanticism. Over the past couple of years, I’ve noticed that my students tend to arrive at their first lecture with me fairly confident that they know what the gothic is. They feel familiar with it thanks to their experience of recent popular cultural phenomena such as The Twilight Saga, American Horror Story, and The Walking Dead. In our first lectures and tutorials, therefore, we spend quite a bit of time interrogating the meanings attached to the term ‘gothic’ in the twentieth and twenty-first centuries. Then, we explore in detail the manner in which Romantic-era readers might have understood it, using Walpole’s putatively foundational gothic novel, The Castle of Otranto (1764), to probe the differences between eighteenth- and twenty-first century perceptions. Once we have this groundwork established, I encourage students to think about their preconceptions of Irish gothic literature. Is it something that they know of only through fin-de-siècle works such as Dracula (1897) and The Picture of Dorian Gray (1891), or, indeed, from more modern cinematic adaptations of these texts? Are they familiar with any Romantic-era Irish gothic works? What distinguishes Irish gothic literature from British, European, and American traditions in the eighteenth and nineteenth centuries? 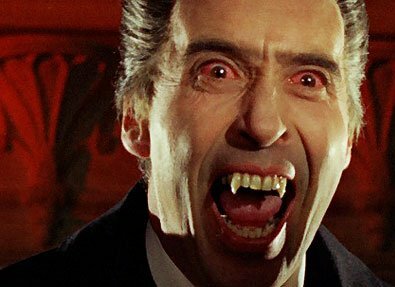 Generally, I find that, while many of my students, Irish and otherwise, have encountered Dracula before, this is the limit of their exposure to Irish gothic literature. What’s more, they often aren’t even aware of Stoker’s Irish background. This inexperience is, in many ways, a boon, allowing us to investigate – without undue cultural baggage – a number of exemplary Irish gothic texts as well as the critical assumptions that have shaped scholarly perceptions of Irish gothic literature over the years. We begin with excerpts from the decidedly NOT gothic 1641 Depositions. Students often find this counterintuitive: why initiate our explorations of gothic literature in Romantic Ireland with something that is arguably neither eighteenth-century nor gothic? In keeping with arguments presented by Jarlath Killeen in his excellent Gothic Ireland (2005), however, I ask my students to consider the depositions and eighteenth-century historiography of the 1641 Rebellion as foundational moments in the development of the ‘people under siege’ mentality that would underwrite Anglo-Irish identity throughout the long eighteenth century. Doing so opens up the space for an examination – and, indeed, problematisation – of dominant psychoanalytical readings of Irish gothic literature as the fictional representation of Anglo-Irish fears and desires. We continue to bear these discussions in mind as we work our way through a cross-generic selection of Irish texts, including Burke’s Enquiry (1757), short stories and poetry by Elizabeth Griffith, Edgeworth’s Castle Rackrent (1800), and Maturin’s Bertram (1816). These works both help to trace the (often overlooked) history of Irish gothic literary production in the Romantic period and prompt wider questions about current critical understandings of Irish Romanticism on the one hand, and ‘the gothic novel’, on the other. Burke’s Enquiry, read alongside Radcliffe’s The Italian and select works by Griffith, for instance, provides a delineation of the concept of the sublime, its importance to late-eighteenth century gothic, and its deployment by Irish writers to probe – and sometimes contest – prevailing English stereotypes of Ireland as a locus of the weird. Rackrent invites consideration of the dominance of regional and/or national literary forms in Irish Romanticism. At the same time, it prompts us to think about the various indications of gothic content provided by titles in the absence of the word ‘gothic’ itself. Meanwhile, Bertram – purposely chosen over Maturin’s more well-known Melmoth the Wanderer (1820) – helps us to think about the dominance of the novel in our understanding of Romantic-era gothic literary production. Students thus leave the module with a much fuller, more nuanced understanding of Romantic-era gothic, and Irish gothic literary production, in particular – something they later bring to bear in second- and third-year modules on eighteenth-century and Romantic literature. One of the most satisfying aspects of teaching a final honours module at Newcastle is that the heavy emphasis on student choice allows us to offer a diverse range of research-led modules (third year). My third-year module ‘Enlightened Romantics: writing at the margins’ is essentially influenced by ‘four nations’ studies of Romanticism and seeks to offer students a more diverse picture of British and Irish literature in the period from the Scottish Enlightenment to the Great Reform Act. Two of the key learning outcomes require students to (i) critically re-evaluate traditional or ‘standard’ conceptions of ‘the canon’ in terms of both literary and linguistic considerations; and (ii) to appreciate the relevance of a diverse Romantic movement to their current cultural and political context. As a significant portion of the module is focused on radical poets from Scotland and the north of Ireland, many of whom wrote in vernacular Scots, there is a linguistic component to the module. This not only challenges their linguistic competencies but encourages them to appreciate the breadth of literatures in English; regional varieties of the English language and how it helps us understand a variety of perspectives. Even in ‘Brexit Britain’, we don’t have to look too far to discover that many of these perspectives lie within our own historical borders; the description of ‘English’ literature is problematic not only because it is not inclusive of contemporary multi-cultural influences, but because it has always been so. The relatively recent introduction of Robert Burns into what has been largely an English Romantic canon has opened up the possibility for the inclusion of other writers of class, national and linguistic diversity. Nowhere in Britain is national identity rendered more problematic than in Northern Ireland, suspended as it is between multiple identities and political complications. My module examines two poetic contemporaries of Robert Burns whose careers spanned the European revolutionary era 1790-1815. United Irish poets Samuel Thomson (1766-1816) and James Orr (1770-1816) published five volumes of verse between them. Writing partly in their native Scottish dialect, they have historically been excluded from an ethno-nationalist Irish canon but, more recently, have been claimed by Scottish, Irish and Ulster anthologies alike. Both were religious dissenters and passionate advocates of human rights, producing many individual works of genius that rival, and even answer to, Burns. The poetry of Thomson, in particular, is a fine example of labouring-class nature poetry, inviting comparisons with John Clare; hence one week is devoted to the politics of landscape in Clare and Thomson. Thomson’s early 1790s poetry, published in the United Irish press, shares visionary and millenarian characteristics with Anna Letitia Barbauld’s apocalyptic ‘Eighteen Hundred and Eleven’ and makes an excellent comparative case study in Presbyterian dissent, particularly across the span of the revolutionary period. Orr’s heart-breaking ‘Irish Cottier’s Death and Burial’, an elegy for a dying labouring-class Presbyterian communal identity and an allegory for the death of independent Ireland, is studied alongside Burns’s more idealised portrait of Scottish dissenting labouring life in ‘The Cotter’s Saturday Night’. Reading these poems in context alongside Pope’s ‘Windsor Forest’ and Goldsmith’s ‘Deserted Village’ gives students a more nuanced appreciation of Scottish and Irish nationalism than the reductive conclusion that it simply ‘reacts against’ Englishness. The ‘fit’ of these authors within a study of Romanticism is nowhere better evidenced than in the students’ responses, which have been overwhelmingly enthusiastic and encouraging. Several struggled with the linguistic elements of Scots language texts, but many made good use of the online Dictionary of the Scots Language to translate the poems. At the end of module evaluation, 33% of the respondents used the free text comments to express how much they valued the opportunity to learn about less well-known writers, mentioning Samuel Thomson and James Orr as ‘inspirational’ poets for their ‘relevance to the political situation today’. The ‘peculiarities’ of regional or even national context are clearly no barrier to their appreciation of these writers’ messages which are universal. For another student, Orr and Thomson, when studied in tandem with figures like Burns, Byron and Shelley, offered a ‘better and more diverse’ insight into the Romantic period. Ulster Romantic poets are taught on University literature modules throughout Britain and Ireland but, ironically, one of the two places where there is a stand-alone module on Ulster Romantic poetry is in Georgia Southern University, USA. Here, the dedication of one professor has inspired students to study literature that is, in some, ways completely foreign to them. I have often considered narrowing the scope of the module right down to something like ‘Ulster Romanticism’ and while there is certainly sufficient material to teach, I have resisted. This has resulted not so much from a fear of alienating students, many of whom understandably wish to study at least some of the ‘big six’, but a desire to resist ‘ghettoizing’ Ulster literature as ‘exceptional’ or, worse still, ‘parochial’. There is a strong comparative emphasis in the assessment, where students have produced some fantastic and innovative work. One example is a comparison of radical pacifism in Irish nationalist Samuel Thomson’s ‘The Bard’s Farewell!’ (1793) and Shelley’s Mask of Anarchy. Another compares the influence of Scottish Enlightenment philosophical ideas of radical sympathy in Burns’s ‘Man was Made to Mourn’ and Orr’s revisionist ‘Man was Made to Smile’. That both poets chose to write these poems in standard English and not in vernacular Scots, in contrast to other Enlightenment-influenced poems like ‘To a Louse’, offers the student an insight into the political potentiality of linguistic codeswitching. It is a delight to explode student preconceptions about the ‘reach’ of vernacular Scots by setting in the context of more well-known Romantic tenets such as Wordsworth’s ‘real language of men’. Breaking down notions of ‘marginal’ and ‘mainstream’ can only be achieved if such sympathetic connections are made. Undoubtedly, the largest obstacle to teaching Ulster Romanticism is the lack of a modern scholarly edition of the works of the major poets, particularly of Thomson and Orr. Although my own edition of Thomson’s letters provides some context, I am teaching mostly from my own transcriptions of original volumes or from outdated print editions which, for various reasons, were necessarily limited in scope. The true value of this poetry will only be appreciated by making it easily, perhaps digitally, accessible for student use. This is a challenge which I personally intend to take up, hopefully with the support of other researchers working in the area. The relationship between Irish visual art and literature in the Romantic context is a notable one. 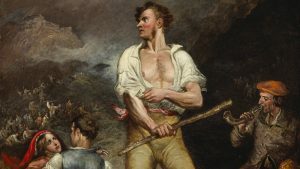 But for a few exceptions, the artists of Irish Romanticism are a generation born into the reality of rebellion and subjugation or its immediate aftermath and memory. Emerging out of this climate is a tradition in art that is at once fragmentary, bi-located, and often an imaginative response to the literature, past and present, of both Ireland and Britain. Teaching Irish Romanticism from a visual arts perspective thus cannot easily (or desirably) be done in vacuo; rather, to fully understand this tradition, it should be considered within the broader European and Irish art historical contexts, in addition to the appropriate literary and historical dimensions. It is instructive then to reflect on the manner in which Irish Romanticism may be taught through the lens of visual art and from an Adult Education perspective. The adult or lifelong learner brings a wealth of experience and accrued knowledge that often impacts positively on in-class discussion. To this end, reflection on teaching practice on the European Art History programme at the Centre for Adult Continuing Education, University College Cork (Ireland) offers useful insights. The programme is a chronological survey of Western Art in the European context. It consists of four modules per year in a two-year certificate and diploma cycle, with a typical class size of between 20 and 35 students. In the second year, students take modules titled Art in the Age of Enlightenment and Revolutions and Reactions, which are delivered through a series of evening lectures, case studies, and tutorials. The teaching staff and students regularly find that these modules, in particular, make for complementary study, with the former culminating where the latter commences. The Revolutions and Reactions module typically commences with a lecture on historical context followed by a critical contexts reading workshop facilitated by the teaching team. This latter session takes as its primary text Edmund Burke’s A Philosophical Enquiry into the Origin of Our Ideas of the Sublime and Beautiful (1757), with Immanuel Kant’s Observations on the Feeling of the Beautiful and Sublime (1764) and Critique of Judgment (1790) used as secondary comparative texts. This provides an engaging and invaluable methodology from which students (and staff) may interrogate the aesthetic responses, ranging from the Sublime to the picturesque, of Romantic artists in Ireland, Britain, and across Europe. It also helps to express the gradual shift from Enlightenment to Romantic thought, and here the writings of Edmund Burke and the paintings and prints of James Barry (1741-1806) offer valuable exemplars, in addition to providing strong frameworks for assignments. Beginning with the late works of James Barry, the principal Irish artists considered within this module are Robert Fagan (c.1761-1816), George Petrie (1790-1866), James Arthur O’Connor (1792-1841), Francis Danby (1793-1861), Samuel Forde (1805-28), Daniel Maclise (1806-70), and Daniel MacDonald (1820-1853). A notable commonality that emerges from a parallel study of these artists is the necessity, realised or not, of having to emigrate (generally to London) to succeed as professional artists. As Petrie and O’Connor’s works are decidedly picturesque with occasional Sublime moments, teaching of these artists focuses on tensions between the manicured and ungoverned or ancient landscape. While consideration of the early Maclise painting The Installation of Captain Rock (1834) offers more obvious political and literary contexts, perhaps the purest Romantics among this group of artists are Danby and Forde, with their shared emphasis on the Burkean Sublime. Class discussion of Danby’s Opening of the Sixth Seal (1828) and The Deluge (1840) helps to demonstrate the long reach of Burke’s influence, which can also be seen in the work of his British contemporaries John Martin (1789-1854) and J.M.W. Turner (1775-1851). 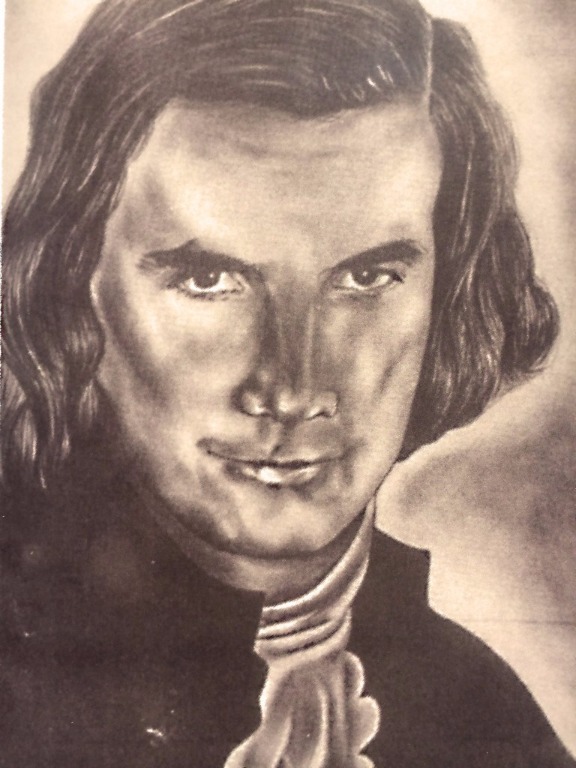 In a case study on Forde, students take a more sustained look at an exemplary Irish Romantic artist in whose final works they perceive a shedding of his academic Neoclassical training: in The Veiled Prophet of Khorassan (1828), as with his contemporary Maclise, he readily responds to Thomas Moore’s Lalla Rookh: An Oriental Romance (1817), while in his unfinished Fall of the Rebel Angels (1828), Forde follows his forebear Barry in his interrogation of John Milton’s Paradise Lost. Although rooted in ideas of the Burkean Sublime, a recurring question that emerges from teaching on these exponents of Romanticism is one of relevance, i.e. is the contribution or Irish artists meaningful and distinct? Rather than shy away from such questioning, the teaching team integrates the problem into image-based tutorial discussion and assignments. Indeed, while students may debate in class whether a recognisable Irish Romantic tradition exists in art, invariably they argue favourably and persuasively for it within assignments. This consensus is assisted to some degree through field trips, study days, or private visits to the gallery space. Proximity to the Crawford Art Gallery, a regional National Cultural Institution specialising in Irish art, presents students with an invaluable means with which to interrogate the art object, both from contextual and curatorial perspectives. This is supplemented with visits to the National Gallery of Ireland, Dublin where students may consider Irish art within the wider context of European exemplars. Consideration of Irish Romanticism through visual art represents a particular challenge to the teacher in an Adult Education context given that adult or lifelong learners are typically less passive and more informed and inquisitive than their younger undergraduate counterparts. 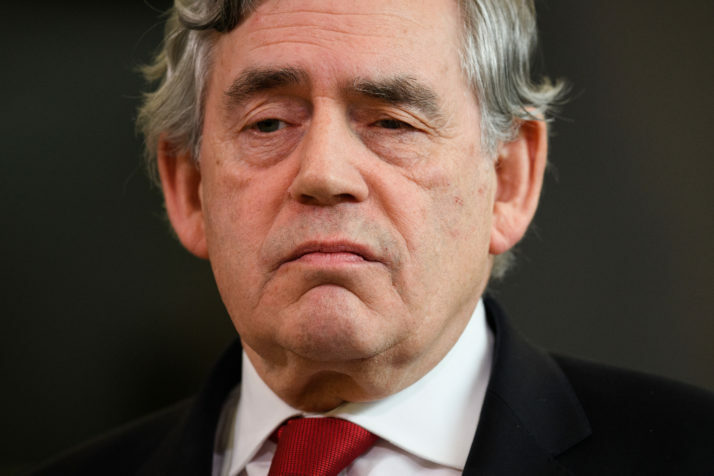 On the eve of the 2014 Scottish Independence Referendum, Gordon Brown urged a rally in Glasgow to vote ‘No’ and to remain in the United Kingdom. In his argument, he establishes a contrast between a ‘patriotic’ vision against a ‘nationalist’ vision ‘that has only one aim in mind: to break every single constitutional and political link with our friends, neighbours and friends in the United Kingdom’. By casting the nationalist push for independence as a ‘narrow nationalism’, Brown invoked a unionist sense of belonging that grafts Scotland into a shared identity that is wedded to a geo-social space of nationhood. He locates the greatness of the ‘Scotland of the Enlightenment and the Scottish inventors’ of the eighteenth and the nineteenth centuries ‘not outside the Union but inside the Union’. In this, cultural evocation of the Scottish Enlightenment, Brown is making an argument that resounds with echoes of the Romantic period and the debates surrounding the Act of Union of 1801 that united Ireland with Great Britain in the formation of the United Kingdom. Brown is echoing an argument that is fundamental to and shapes the way in which I attempt to teach the writings of Maria Edgeworth and Sydney Owenson. As Ina Ferris makes clear, the geo-social space inaugurated by the Act of Union is inherently odd and cobbled together. For Ferris, the newly created phrase and entity of ‘“the United Kingdom of Great Britain and Ireland” defines the new states as less a solution than a problem from the start. The very name adumbrates a dilemma: Ireland is at once a part of the kingdom (a political subject) but not a part of Great Britain (not a national subject)’. Seamus Deane, in addition, has described this literature as involving ‘the language of the half-made, the half-baked, the incomplete […] precisely because of its hyphen’. For most of my students, this idea of a hyphenated identity, let alone a hyphenated literature or a hyphenated country is a difficult concept to grasp. This belonging-but-not-quite nature of Ireland and Irish literature during the period surrounding the Act of Union gives rise to its most influential literary form: the National Tale, which was supposed to ‘make the English familiar with the character of their gay and kind-hearted neighbours of Ireland’. This confusion surrounding the very need for the National Tale is why my classes, and this post, begin with Gordon Brown. In his argument, Brown chastises the Scottish Nationalist Party (SNP) for emphasising the momentariness of the decision; he claims that ‘the SNP says now is the time and now is the moment, and yet the decision is irreversible […] this is a decision for all time. This is a decision from which there is no going back’. Brown’s tone here emphasises the severity of this decision, while also underlining the supposed permanency of the Union. These concepts of permanency and deliberation help to frame the question of the Act of Union in two helpful ways: firstly, they provide the foundation for a debate about the long-term significance of Grattan’s Parliament voting to enter into the Union; secondly, the combination of deliberation and permanency is helpful in establishing the dominant metaphor of marriage that shapes Edgeworth’s representation of the Act of Union in her National Tales. Brown’s terms of permanency and severity can be used to stage an in-class debate that attempts to re-enact the vote for the Union. The class can be divided into the pro- and anti-Union factions, each needing to provide historically-based claims for their positions. Many of these will echo the same debates in the Irish Parliament: questions of identity and nationalism, as well as questions of protectionism and economic viability. But Brown’s terms also recall the idea of marriage, a concept that itself serves two interrelated purposes in teaching the National Tale. Firstly, it helps to domesticate the Union. As Julie Anne Miller argues in ‘Acts of Union’, metaphors of marriage in these National Tales expose ’the founding violence beneath the proposed union’. The domestication of the Union via the mechanism of a metaphorical marriage in turn helps to raise questions about the mode of interpreting these novels. To return to Miller’s analyses of Edgeworth and Owenson, the metaphor of marriage clearly provides an important feminist framework to interrogate the representation of women, of masculinity, and of national identity. Thus, just as Edgeworth uses the National Tale to introduce Ireland to her English readers and to ‘have done more towards completing the Union than perhaps all the legislative enactments by which it has been followed up’, we can use Gordon Brown’s defence of the Union in order to introduce our students to the very concept of the politics of the Union and to the National Tales used to defend, critique, and potentially enact it. Gordon Brown, ‘Scottish Referendum Speech’. Glasgow 18 September, 2014. Ina Ferris, The Romantic National Tale and the Question of Ireland. Cambridge: Cambridge University Press, 2002. Print. p. 1. Seamus Deane, Strange Country: Modernity and Nationhood in Irish Writing since 1790. Oxford: Clarendon Press, 1998. Print. p. 21. Walter Scott, ‘General Preface (1829)’. Waverley; Or, ‘Tis Sixty Years Since. Ed. Claire Lamont. Oxford: Oxford University Press, 2008. Print. p. 388.